Ever wondered what that tiny black and white table labelled “Nutrition Facts” means? Think of it as a table of contents about what is inside your food and the different components it’s made of. Nutrition label reading is important to help children and adults alike to make healthier lifestyle choices and empower them to take control over what they put in their mouths. 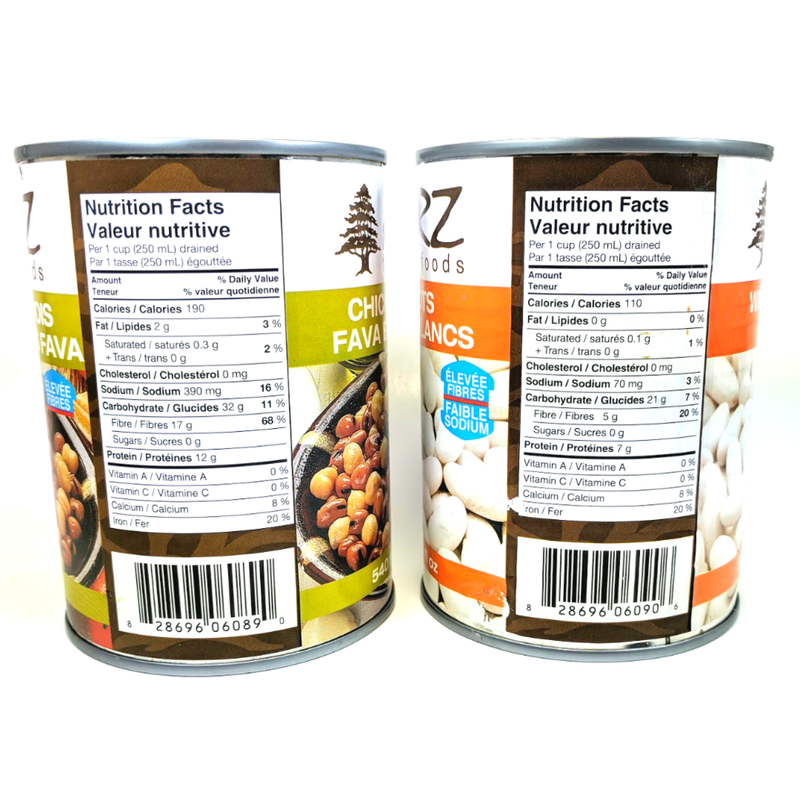 By reading nutrition labels, it can aid in choosing more nutritious food options by comparing food to see what may have more sugar, protein, fats and so on. This can also be of immense importance when it comes to managing a healthy weight, diabetes, and other health concerns. Learning how to read and identify the components on food labels at an early age will help children as they progress into adulthood feel confident in making healthier choices that will be beneficial to them in the long run. So how do you read a nutrition label? Major components to look for on food labels include: serving size, calories, fat (several types), carbohydrates (broken down into fibre and sugar), protein, and vitamins/minerals. This is the amount of food that is recommended to be eaten. It helps individuals understand how much they are eating and allows them to understand the rest of the food label in terms of how much nutrients it contains. This is a wonderful way for children to use their math! For example, if one serving of cookies is 2 cookies, then 2 servings of cookies would be 4 cookies! This tells you about the amount of energy that comes from that serving of food. Calories can come from fat, carbohydrates and protein. In some cases, it is good to see how many calories are in the food to make sure we are not taking in more than what our bodies need to use. This area tells you how much fat is in a serving of food. The total amount of fat can come from diverse types such as, saturated, trans, polyunsaturated, and monounsaturated. Knowing what these types mean, how they are created, and which are beneficial and harmful to health can be an asset in making healthier choices. This section tells you how many carbohydrates are in a serving of the food. Your body uses carbohydrates as it’s main source of fuel to be burned for energy. Carbohydrates are also need by all the cells and tissues in the body and is important for brain function. Carbohydrates on food labels are broken down into two main sections about where the carbohydrates are coming from: fiber and sugar. Both these components are represented by grams. This tells you how much protein is in a serving of the food. Protein is important for building muscle, tissues and organs, and are needed by every cell in the body. This lists the amounts of vitamins and minerals provided by the food in the form of a percent daily value. Vitamins and minerals that are usually listed include, but are not limited to; vitamin A, vitamin C, calcium and iron. 1. Get two boxes or cans of similar foods (example: two breakfast cereals) and put them on the table. Look at the boxes, what they contain, the claims on the box (example, reduced sugar, no trans fats, and so on). From here, get your children to draw conclusions about which one they believe contains more/less sugar, more fibre, more protein, less calories, and whatever other components you want to go over. 2. From here, they can use their math skills to multiply the serving size and see how the rest of the nutritional components play out. For example, if a serving size is 15 chips, how many calories are in 30 chips? How much fiber compared to fat in 45 chips? How much sugar in the whole package? 3. Get them to draw their own conclusions about which food item they believe is healthier overall. 4. Encourage them to choose the food in the grocery store based on the conclusions they made from playing this game. How will you encourage your children to read nutrition labels? Did you try the “nutrition label game”? How did it go? I would love to hear from you in the comments! Keep cooking!